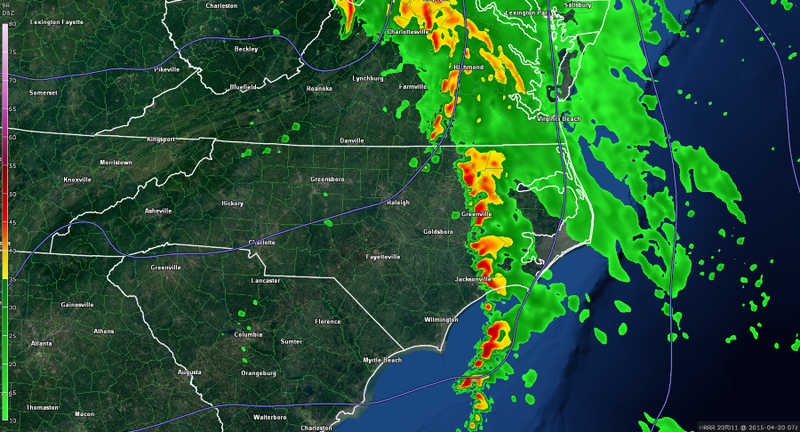 Once again, ENC will be overtaken with more rain Sunday as a warm front moves northward during the day. Most areas will see moderate to sometimes heavy showers this afternoon and through tonight with some isolated storms embedded. 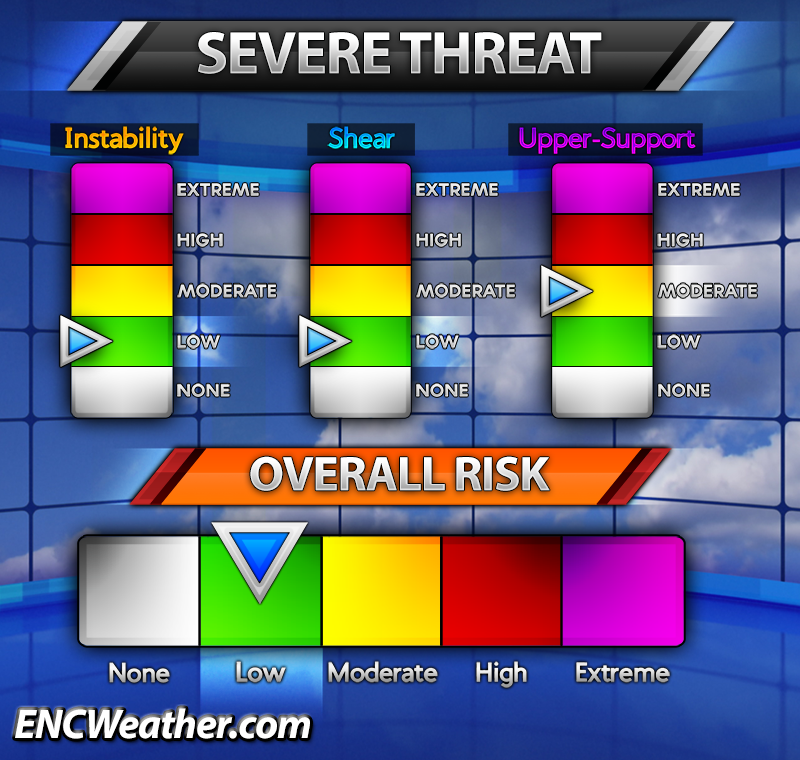 Even though these storms produced severe weather in South Carolina this afternoon lack of instability will keep any storms that do develop below severe criteria. Heavy rain and some lightning could still be expected with the passage of these storms. 20Z HRRR forecast radar Monday morning. As the cold front approaches on Monday, instability in ENC will be elevated with southwesterly low-level flow bringing in Gulf moisture (dewpoints rise to the low to mid 60s during the day). Most of the day will be dry as overnight precipitation moves out of the area. SPC Day 2 (Monday) severe probability. The northern stream system will be well to the north of the area with the best lift associated with it well to our north. 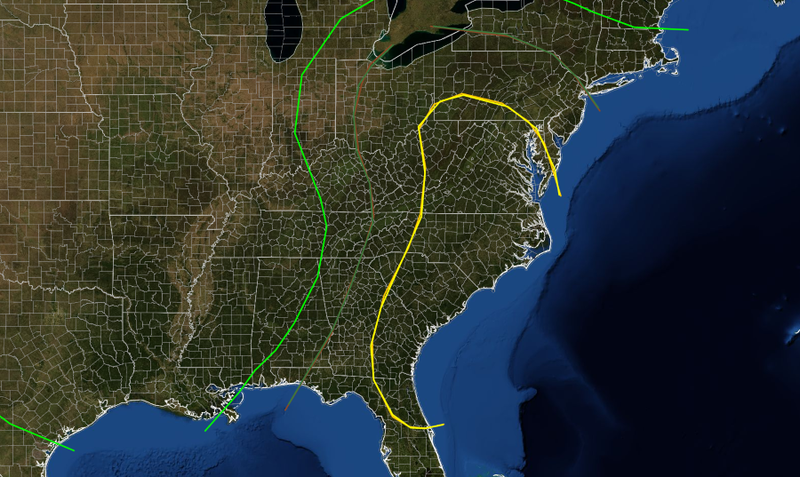 With the southern jet to our south, best lift from that will remain to our south. The main focus point for convective development resides with the mid-level short wave that will pass over the area. This should provide enough lift for scattered showers and thunderstorms. Strong, unidirectional shear will lower the chances of supercell storms with a decreased chance of tornadoes, although a slight possibility could exist. 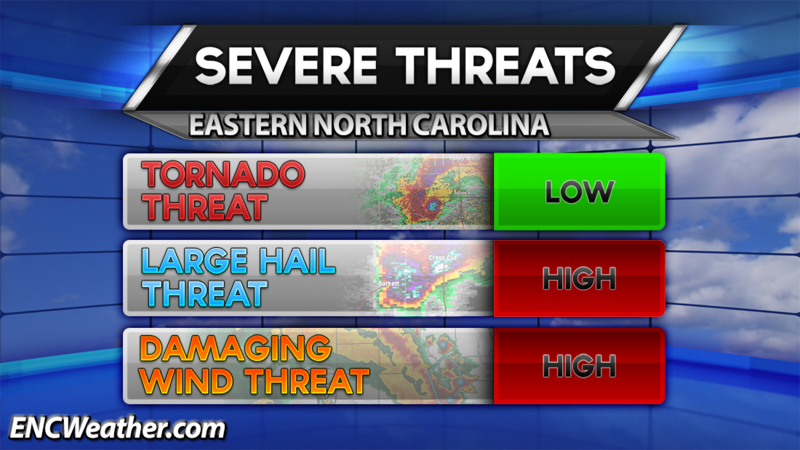 The main threat with these storms will be large hail and strong, damaging winds. Pay attention to local media and the NWS for any watches/warnings that could be issued for your location. I will try to keep the site updated with the latest information as it happens tomorrow evening.